A programme intended to change the behaviour of domestic abuse perpetrators is being rolled out to six more local authorities. The Caledonian System is a court-mandated scheme to combat domestic abuse through the rehabilitation of male perpetrators and “works to improve the lives of the women and children affected”. A total of £2.8 million in the latest round will double the programme’s potential capacity to reach offenders. 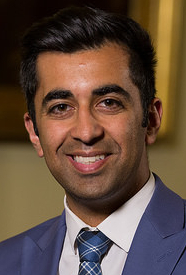 Justice Secretary Humza Yousaf announced the funding this morning on a visit to ASSIST in Glasgow, a specialist domestic abuse advocacy and support service focused on reducing risk and improving the safety of victims. He said: “Domestic abuse is a problem that continues to affect every community in Scotland. It is a priority for the Scottish government to tackle violence against women and expand pioneering initiatives, like the Caledonian System, which combines a robust programme for male offenders, aimed at changing their behaviour, with a focus on reducing the risk of harm to women and children. “Funding to expand the availability of the Caledonian System is one of the measures we have put in place to protect victims and hold perpetrators to account, including strengthening the law and passing the Domestic Abuse Act earlier this year. Mhairi McGowan, head of ASSIST and domestic abuse services for community Safety Glasgow, said: “I am delighted that Sheriffs in Glasgow’s Domestic Abuse Court will have Caledonian as a sentencing option. Victims of domestic abuse, whose partners or ex-partners are prosecuted just want the violence and abuse to stop. They don’t want anyone else to go through what they have suffered.